If you’re looking for a new mattress, one of the best brands out there is Serta. Starting with their Perfect Sleeper and continuing through their breakthrough iComfort Sleep System, they’ve been innovating sleep technology since 1931. There are a lot of options to choose from so you’re bound to find the best Serta mattress for your taste and to fit your budget. To put together our reviews, we considered a few different things. First, the type of mattress. 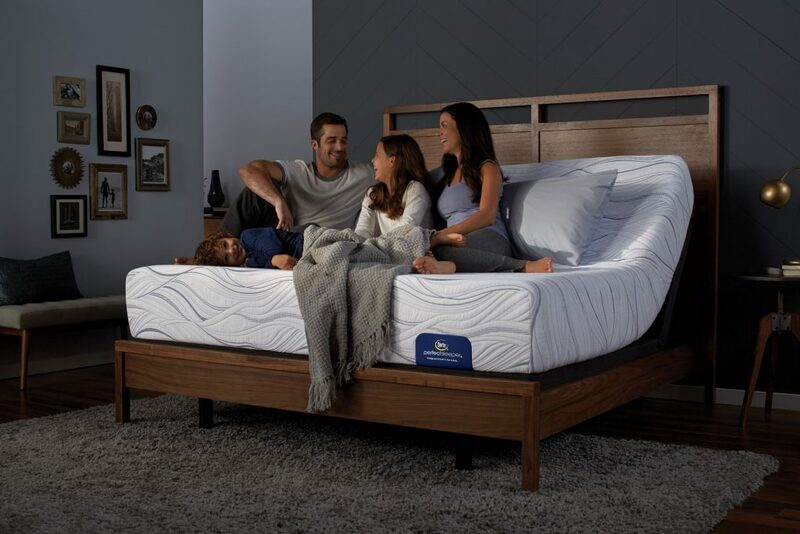 Serta uses several different types of memory foam and innerspring in their mattresses, and each combination creates a different sleeping experience. We also looked at how thick each mattress is. The thicker the mattress, the more layers it has. Firmness is also important when it comes to mattresses, and we found a variety: from plush to firm. Finally, we considered what size each mattress is available in so whether you’re looking for a king for you and your partner or twin mattresses for your kids, you’ll find something here that fits perfectly. We spent hours researching Serta’s different mattresses and reading through reviews from experts and people just like you who sleep on these mattresses in their own homes every night to put together this review. The first thing you’ll see is a table where you can compare our top picks side by side. 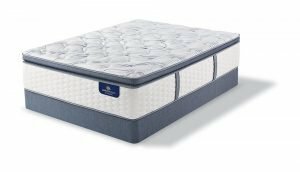 Next up are our detailed reviews followed by an in-depth buying guide to help you find the best Serta mattress for you. The Serta iComfort Hybrid is the best Serta pillow top mattress and an all-around top pick. 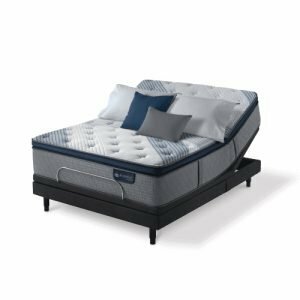 It combines the plush comfort of a pillowtop with the support and temperature regulation of gel memory foam for soft, cushiony comfort and a better night’s sleep. You can feel the difference in this mattress from the moment you touch it. The pillow top is finished with TempActiv Touch Fabric that feels cool the moment you touch is and continues to dissipate heat through the night. 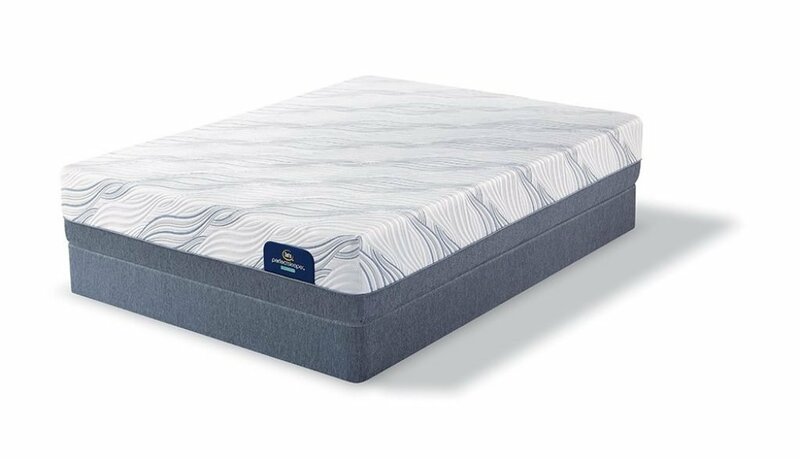 This mattress also features Serta’s TempActiv gel memory foam as well as a thick layer of EverCool Fuze Gel Foam which not only adds more cushioning but also allows for advanced airflow and cooling. It absorbs your body heat during the night and dissipates it throughout the mattress to keep you comfortable while you sleep. Another great thing about this mattress is the Hybrid Coil System with foam encasement. It’s designed to minimize movement so you and your partner won’t disturb each other throughout the night if you toss and turn. You can also use this mattress with Serta adjustable beds and foundations. One of the things that users have said about this mattress over and over is that it’s soft and comfortable but still provides adequate support. That said, it’a rated as a soft mattress so if you do like something firm, this one might be too soft for you. 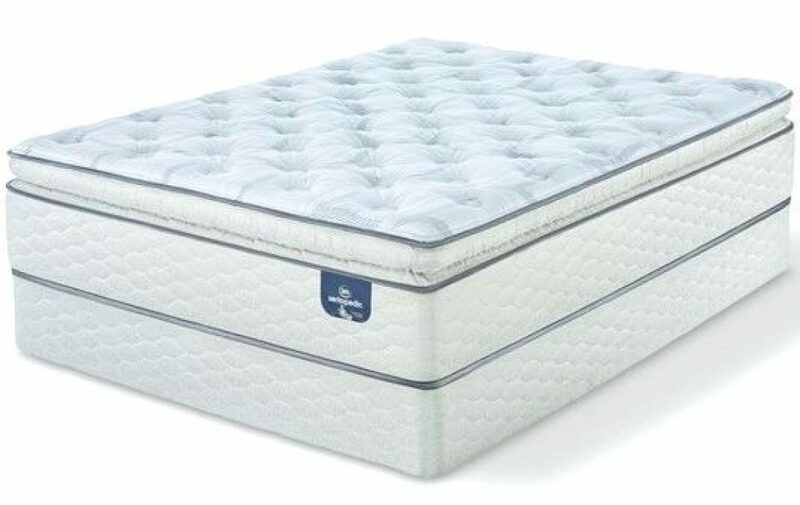 The best Serta mattress for lower back pain is the Serta Perfect Sleeper Ultimate Super Pillow Top. Why? Because it was specially designed to help with the most common sleep problems: tossing and turning, sleep temperature, sagging, partner movement, and back support and alignment. On the surface is the comfortable pillow top made up of Fireblocker fiber, pillow fill, and PillowSoft foam. Under that is a layer made of extra-thick Serta Ever Cool Plus Memory Foam followed by a layer of XD Foam. They’re soft and comfortable while also providing a lot of support. XD Foam cushions your pressure points and reduces buildup to prevent discomfort no matter what side you sleep on while keeping the temperature just right while the Ever Cool Plus Memory Foam allows air to circulate to prevent the mattress from absorbing too much body heat while your sleep. The bottom is what provides the main support. It’s made of a layer Custom Support Individually Wrapped Coil Innersprings with edge-to-edge foam reinforcement. 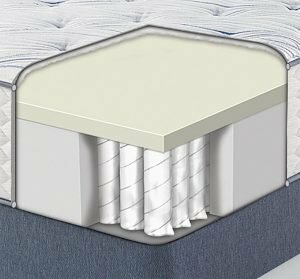 The individual coils help prevent motion transfer, so you don’t disturb your partner and the edge to edge foam encasement helps the mattress maintain its shape, preventing sagging over time. This mattress is supportive but has a soft feel that you might not like if you prefer a firm sleeping surface. If you’re looking for a great hybrid, check out the Serta Perfect Sleeper Plush. The Perfect Sleeper line of mattresses was designed to solve 5 common sleep problems: sagging, transfer of movement, sleep temperature, back support and alignment, and tossing and turning. This mattress also comes in a few different levels of firmness so you can choose the one that’s right for you. 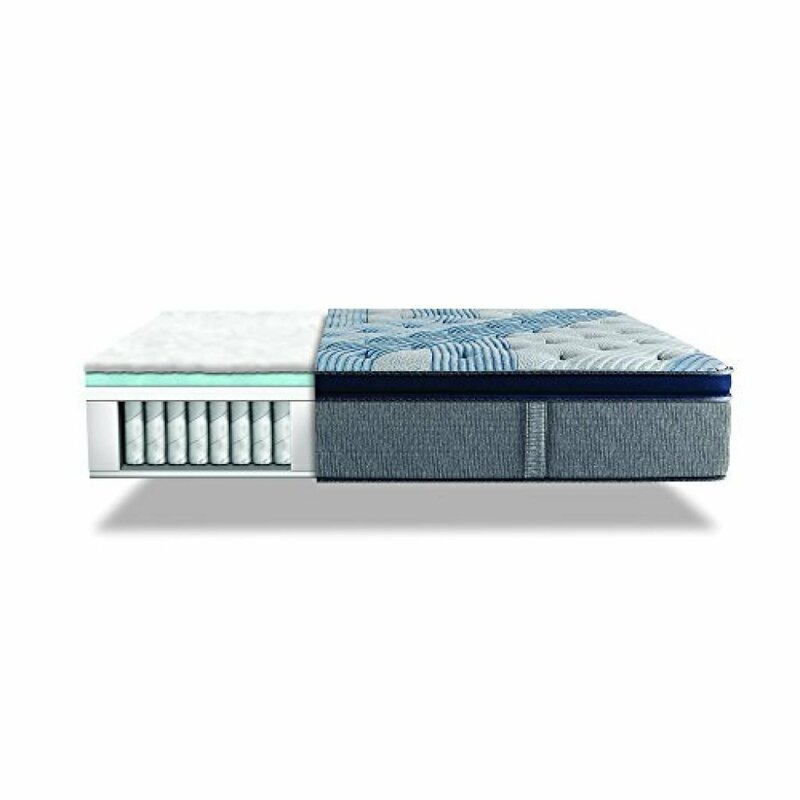 This mattress was designed to combine the look and feel of an all-foam mattress with the unmatched support of individually wrapped innersprings. You can choose from extra soft, plush, medium, and firm to get the right amount of cushioning and enhanced support help you get a good night’s sleep. There are a lot of layers to this mattress. On the top is Cool Twist Gel Memory Foam, a breathable gel-infused layer that cradles your pressure points while keeping the temperature just right while you sleep. Below that is a layer of Balanced Support Foam which was designed to strike the perfect balance between body-hugging comfort and enhanced support. Finally, the bottom layer is made of individually premium wrapped coils with a durable foam encasement for comfortable support and an edge that won’t sag or lose its shape over time. Although this is a plush mattress, some users felt it was a little too firm. 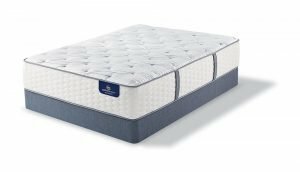 The Serta Perfect Sleeper Ultimate Luxury Innerspring Mattress is the best firm Serta mattress we found in our research. Just like other Perfect Sleeper models, this mattress was designed to solve the 5 most common sleep problems: sagging, transfer of movement, sleep temperature, back support and alignment, and tossing and turning. This version uses 3 different layers to achieve the perfect night’s sleep. 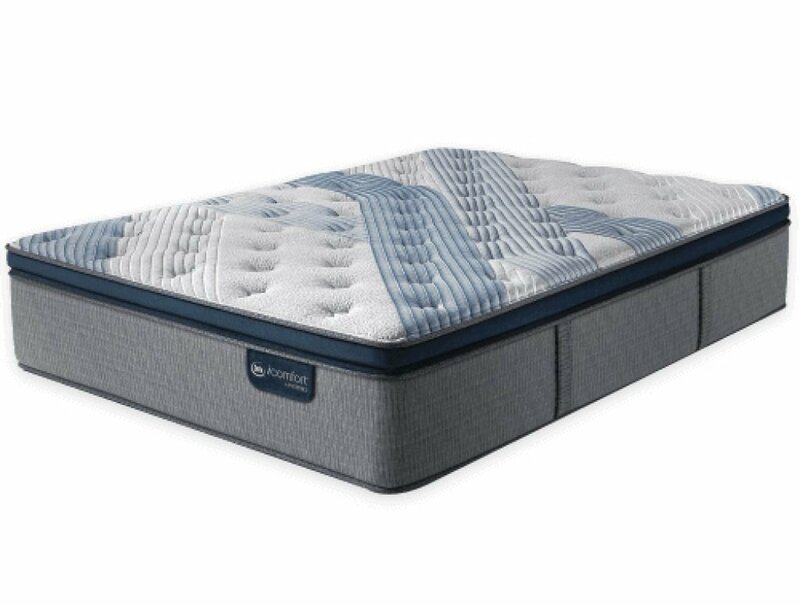 On the top is a layer of EverCool Plus Memory Foam which has an open-cell design that not only supports pressure points but also enhances airflow to keep the temperature balanced throughout the night. Underneath that is a layer of PillowSoft Foam. It’s extra soft and gently contours to the body for gentle support. The bottom layer features premium individually wrapped coils with a special gauge for a firmer feel, as well as edge to edge foam encasement to prevent sagging over the life of the mattress. This is a great choice if you prefer a mattress that’s a bit firmer but still provides a little bit of cushioning. It provides just a bit of softness and it’s considered extra-firm, so it might not be the best match for someone who likes a mattress that’s soft and plush. For back sleepers, however, this would be a perfect choice. The Sertapedic Super Pillowtop Innerspring Mattress is our budget pick and another good choice if you’re looking for a firm mattress with a softer sleeping surface. The pillow top surface layer is made of FireBlocker Fiber, PillowSoft Foam, and PillowSoft Air. While it does offer a firmer sleeping surface, it’s still comfortable with just the right amount of cushioning. Below that is a layer of PillowSoft foam for just a little bit of cushioning followed by Support Foam that provides enough support for your pressure points, while preventing you from sinking too far into the mattress. Next is a thin layer of Cool Twist Gel Memory Foam to help absorb body heat and keep the temperature more balanced throughout the night as you sleep. Finally, the supportive bottom layer is individually wrapped innerspring coils. They’re made using a special gauge coil for the ultimate in firm support and also help minimize motion transfer so that you don’t disturb your partner during the night. It also uses Edge Foam Encasement to provide structure and prevent sagging over time. This also aids in preventing you from slipping off the mattress. While this is the best Serta mattress to buy if you’re on a tight budget, keep in mind that it’s pretty firm compared to some of our other choices. If you like a medium or soft mattress, this may not be to one for you. If you’ve decided you want to buy the best rated Serta mattress, there are still a lot of options to choose from. Let’s take a closer look at Serta so you know what to keep in mind as you decide which one is the right one for you. Serta introduced their first Perfect Sleeper in 1931 and kept on making innovations that changed the mattress industry, including the iComfort Sleep System that’s so popular today. They’re one of the best mattress manufacturers in the United States and have a following all over the globe. Plus, they have mattresses for every type of sleeper and any sized budget. Whether you’re looking for the best Serta memory foam mattress or the best Serta mattress for side sleepers, there are a lot of factors to consider. Let’s take a closer look at what makes Serta so special. The most popular types of mattresses are innerspring, memory foam, and hybrid mattresses, which combine the former two types and are essentially the best of both worlds. It’s no coincidence that all of the mattresses we chose are hybrids, which deliver the comfort and cooling gel of a memory foam mattress with the support of innersprings. Serta has a few different types of memory foam, including TemperActiv Gel, EverCool Fuze Gel Foam, Serta Ever Cool Plus Memory Foam, XD Foam, Cool Twist Gel Memory Foam, Balanced Support Foam, and PillowSoft Foam. 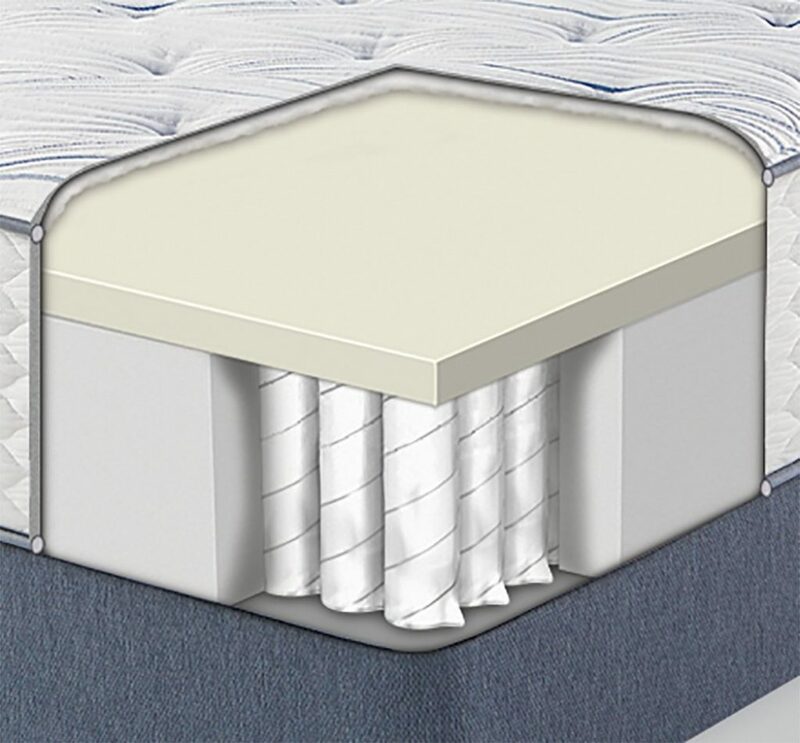 Depending on the mattress, they mix layers of different types of foam together to get the right kind of support. Serta also uses individually wrapped innerspring coils in their hybrids, using different gauges to make firm mattresses as opposed to plush. Whether you’re a side, stomach, back, or combination sleeping also determines what kind of mattress you should look for. Generally, back sleepers should use a medium to firm mattress to give the spine the support it needs without being too hard and uncomfortable. For back sleepers, it’s important to keep the spine supported properly to avoid pain and discomfort. Side sleepers need something a little softer with a bit more give. When you sleep on your side, there are more shapes and contours, specifically around the hips and shoulders. A softer mattress provides support while providing cushioning for pressure points to keep you comfortable while you sleep. Belly sleepers should pay particular attention to choosing the right mattress. Sleeping on your stomach is really hard on your spine which is why you may find yourself waking up with aches and pains. Believe it or not, a firm mattress is best for a belly sleeping. It provides the level of support you need to keep your spine in alignment even when you’re on your stomach. Thickness varies depending on how many layers the mattress has. Our top picks range from the Serta iComfort Hybrid at 14 inches thick, to the Sertapedic Super Pillowtop Innerspring Mattress at 12 inches thick. Keep thickness in mind when buying sheets, too. Some standard sheets may not be deep enough for a really thick mattress. Serta has mattresses that range from Very Firm to Very Soft. They recommend Very Firm mattresses for back sleepers only and Medium Firm for back and stomach sleepers. Their Medium mattresses are pretty versatile. They’re soft enough for most side sleepers but have the support that back and stomach sleepers need. Medium is a good choice for a guest room or if you and your partner have different sleeping styles. Soft mattresses are a great choice for side sleepers and back sleepers who need a little more body contouring and pressure relief. This is not a good choice for stomach sleepers because there’s too much sinking which overextends the back and leads to discomfort. Very soft mattresses are the softest ones available and are really only meant for side sleepers who want a lot of pressure relief. Very soft mattresses are too way too soft for stomach sleepers and back sleepers – there’s just not enough support. Most of these Serta mattresses are available in a wide range of sizes so you’ll find something whether you want a new king-sized mattress for the master bedroom, a nice queen for the guest room, or twin-sized mattresses for the kids. Minimal motion transfer is important if you sleep with a spouse or partner. Serta uses supportive memory foam and individually wrapped coils to isolate movement so you won’t disturb your partner when you move throughout the night. This is especially useful if you have different wake times or go to bed at different hours. CertiPUR-US means that the mattress has been tested to meet rigorous standards. Specifically, it certifies that the mattress has been made without ozone-depleting substances, harmful flame retardants, and contains no formaldehyde, mercury, lead, and heavy metals. It also verifies that it was made without phthalates and was made with low VOC emissions for better air quality. This means you’re guaranteed a hypoallergenic and safe mattress, one that will not cause any adverse health effects. While Serta does have options available to fit any budget, a mattress is not really something you should skimp on. Consider how much of your life you spend sleeping and how important a good night of rest is to your quality of life. Investing in a Serta mattress is a good decision because it provides the comfort you need and is well-made so it will last a long time. Make sure the mattress is properly supported. Most mattresses don’t require a box spring these days but you’ll likely need a base or slats to prevent them from sagging. Check the specific requirements for the mattress you choose. Use a mattress protector from day 1. Mattress protectors protect your mattress from spills and other accidents as well as dust, dirt, and debris. Wash your bed linens regularly to keep skin cells, oils, and hair from getting on your mattress. Keep pets out of your bed if you can. Pets introduce a lot more hair, dirt, and dander so if you want to keep your mattress as clean as possible, give your pets their own bed to sleep in. Rotate the mattress regularly to spread out wear. Modern mattresses can’t be flipped as regular spring mattresses could so make sure to turn them 180 degrees at least twice a year. What makes a mattress good for hip support? It depends if you’re a back or side sleeper. If you’re a back sleeper, a firm mattress is best because it gives your hips and lower spine the necessary support to avoid back pain. If you’re a side sleeper, something a little softer is better because the mattress will conform a little more to your hips. A pillow top mattress has an extra layer on the top to make the softest, most comfortable sleeping surface possible. Pillow top mattresses are usually pretty thick and can add a nice soft layer to an otherwise firm mattress. 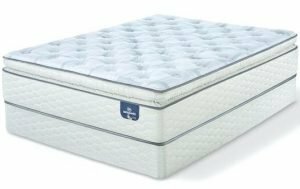 How do I choose the right support or bed frame for my mattress? The best thing to do is read the recommendations from Serta for the mattress you choose. Some mattresses need a box spring or other support or they’ll end up sagging over time and won’t last as long as they should. The Serta iComfort 500822053-1060 Hybrid is the best Serta iComfort Mattress as well as the top choice all-around. This m has TempActiv Touch Fabric on the pillowtop and 2 kinds of cooling get memory foam throughout. Plus. the Hybrid Coil System minimizes motion transfer so you and your partner can sleep comfortably. Next is the Serta Perfect Sleeper Ultimate Super Pillow Top, the best Serta Perfect Sleeper mattress we found in our reviews. 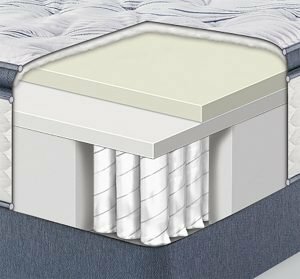 It’s designed to take care of the most common sleeping problems and features multiple layers of foam and individually wrapped coil springs. This is a great choice for those that suffer from back pain. Finally, we recommend the Serta Perfect Sleeper Plush, our favorite Serta Hybrid mattress. It has the look and feel of an all-foam mattress with the support of individually wrapped coils. There are also a lot of different layers perfectly matched to give you the cooling support you need.